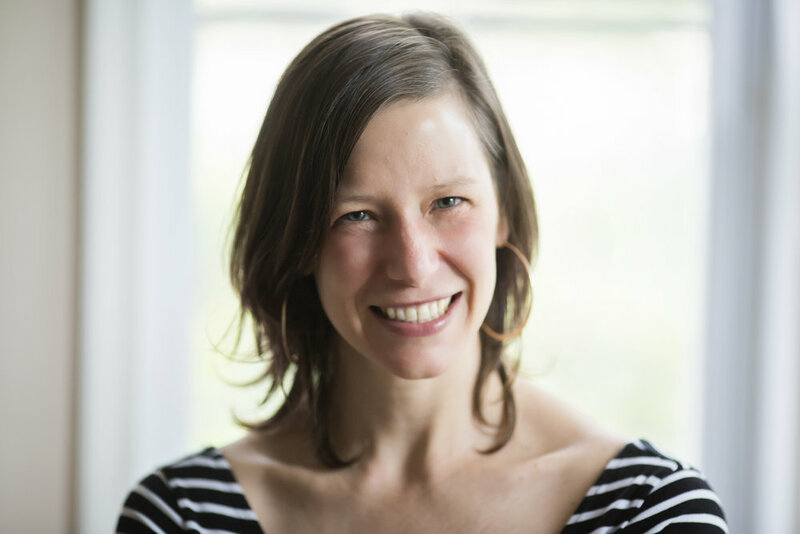 Gracy Obuchowicz is a Washington, DC-based group facilitator, retreat leader and self-care coach. She helps overwhelmed professionals find a deeper work/life balance and live their way into real purpose with strength and ease. Honest and nurturing, Gracy creates healing communities all over the world that activate deep change. Her thoughtful and practical application of self-care techniques continue to evolve and transform many lives. Gracy is a certified Integral Facilitator, a 500-hour registered yoga teacher, and a continuing scholar of Ayurveda. She has led transformational self-care retreats as close as West Virginia and as far away as India and Bali. She has led self-care workshops for the Department of Justice, the American Clinical Social Workers Association, Greenpeace, Lee Montessori Charter School, and the DC Public Charter School Board. Gracy work has been featured in Washingtonian magazine, on NPR, in Conscious Company magazine and through the Ten Directions blog. She finds work/life balance by caring for her son Jonah, trying out new recipes in the kitchen, taking long baths while reading a novel and playing outside in nature as much as possible. Beautiful Life Self Care is here to help all people authentically care for themselves, care for their communities, and care for our world as a whole. We are here to teach effective and transformational self-care practices and perspectives that can be utilized by people of all body sizes and abilities, gender identities, races, ethnicities, classes, sexual orientations, and/or religious affiliations. Beautiful Life Self Care is here so that all people, especially those who are marginalized in their ability to care for themselves because of the damages caused by the dominant culture of white supremacy, can use self-care to practice resilience and access the power within themselves. We believe that as the self-care movement awakens a critical mass of people to practice authentic, accessible self-care, we can create a cultural shift toward cooperation, compassion and true equity for all people in our world. To make these goals a reality, we at Beautiful Life Self Care are actively creating a diverse, inclusive, and equitable wellness business. Particularly, we are learning from women of color who are able to understand self-care from the deeply important perspective of marginalization. We are learning from them by reading books written by women of color, enrolling in workshops led by women of color, and by ensuring the ongoing place of women of color in the Beautiful Life Self Care leadership council. Beautiful Life Self Care is an explicitly anti-racist and body-positive wellness business. Unfortunately, we have fallen short of these values in the past, particularly in the lack of representation of women of color and women of diverse gender identities and sexual orientations in our programs. Additionally, in the past, we have produced and published materials that have been body shaming by praising weight loss as an ideal. Further, we have not created materials to specifically support men in their self-care growth. For this, we issue a standing apology and commit to doing better. As part of this commitment, we offer part and full scholarships for our self-care programs for those with socioeconomic need. If you identify as a person from a marginalized group with this need and have a desire to study self-care with us, it would be a gift to have you in our community. Additionally, If you identify as a person of color and are interested in teaching within the Beautiful Life Self Care community, it would be a gift to be taught by you. To express your interest and learn when these learning and teaching opportunities open up, please contact us here.